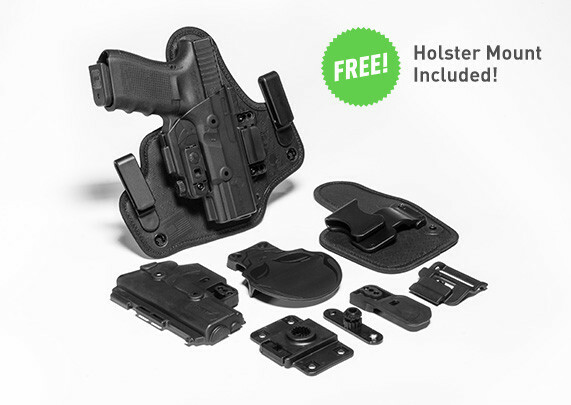 Never before has anyone offered a Glock 31 holster system that allows the person carrying it so many options for carry. 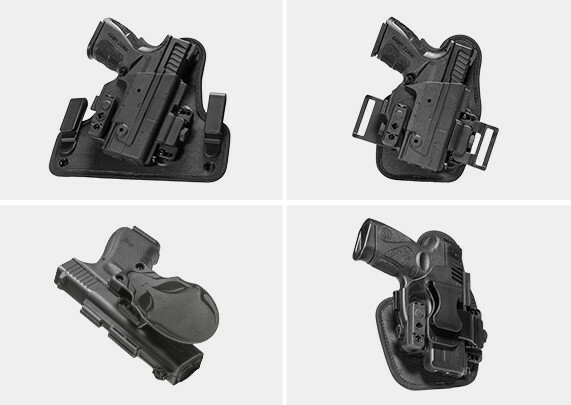 No other holster company thinks to change what's possible with holster design; instead they rely on variations of the same old design. Alien Gear is out to change what you can expect from a Glock 31 holster. The ShapeShift allows for use as an IWB holster, appendix holster, high-ride OWB and paddle holster in one - all you need do is change a few parts to create the type of holster you want to carry with when you want to. The ShapeShift is no mere holster; it's an entire carry system. Glock 31 IWB Holster: attach one holster shell to the larger backer for a traditional IWB holster. 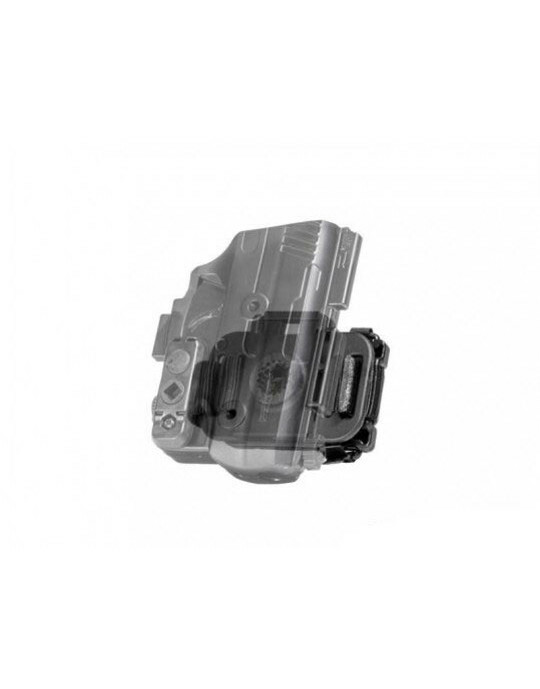 The belt clips are adjustable for ride height and cant, just like our previous IWB designs. Glock 31 AIWB Holster: attach a holster shell to the smaller backer and install the larger IWB belt clip. Adjust for cant and slip into the waistband for appendix carry more comfortable than you've ever experienced before. Glock 31 Belt Slide OWB Holster: attach the belt slide clips instead of the larger IWB clip to the smaller backer for a high-riding belt slide OWB holster perfect for OWB concealment. Under an untucked shirt or light outerwear, this holster conceals easier than you'd believe and wears incredibly comfortably. Glock 31 Paddle Holster: you attach both full-length shells to create a full wrap pancake-style holster. Insert the belt attachment and dock the paddle attachment with the holster and start wearing. Like the Cloak Mod holster, the paddle attachment can be swapped with a belt slide attachment. 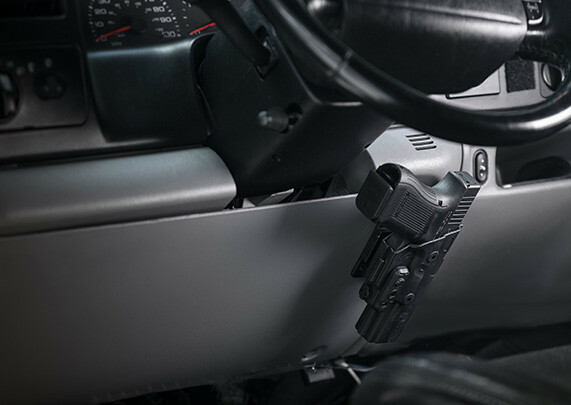 Like our other holsters, the ShapeShift is also compatible with our Cloak Dock holster mount systems, and you can create a docking station on nearly any surface that you see fit to create a docking point with. The ShapeShift Glock 31 holster system comes with Alien Gear's Iron-Clad Guarantee, including the 30-Day Test Drive trial period and comprehensive lifetime warranty. 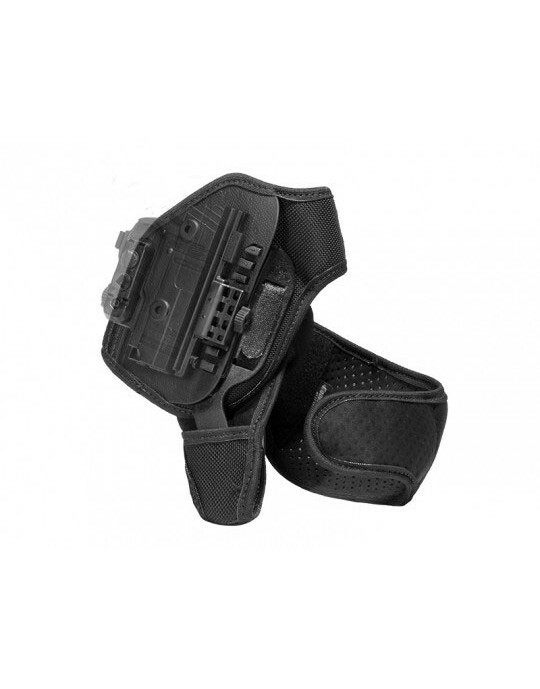 You can wear this holster up to a month and evaluate it. If during that period, you can return the holster for a full refund. You can also rest easy in knowing that any issue, regardless of how it arises, will either be fixed by us or the holster will be replaced for as long as you own it. You might find that you never want to carry with anything else.